You are standing on 3rd Avenue at Washington Avenue. 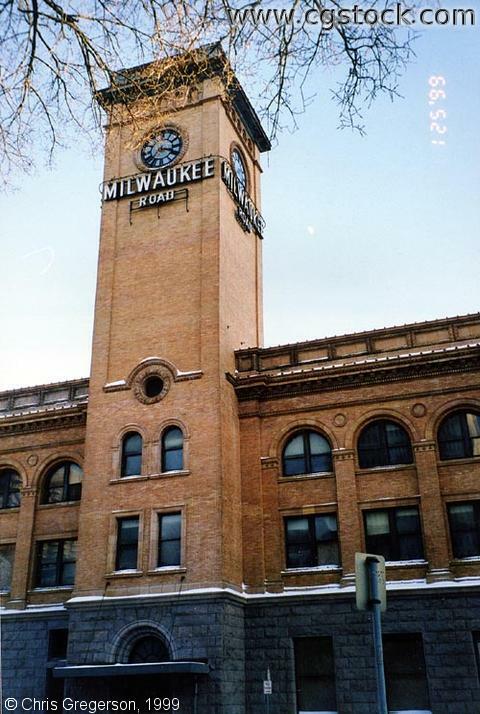 This is the Milwaukee Road depot. It's been unused for years, and is old enough to be of historical significance. Some of my relatives used to arrive at and depart from here when they were young, but not during my lifetime. There are plans to develop this space and renovate this structure.